CHANDAN BOSE, Ph.D. Scholar, Dept. of Applied Mechanics, IIT Madras, Chennai 600036, India. SAYAN GUPTA, Professor, Dept. of Applied Mechanics, IIT Madras, Chennai 600036, India. SUNETRA SARKAR, Professor, Dept. of Aerospace Engineering, IIT Madras, Chennai 600036, India. Natural flyers flap their wings periodically to generate desired aerodynamic loads to fly by leaving a variety of wake patterns in the trail. The nature of these vortex shedding patterns holds the key to the aerodynamic load generation. 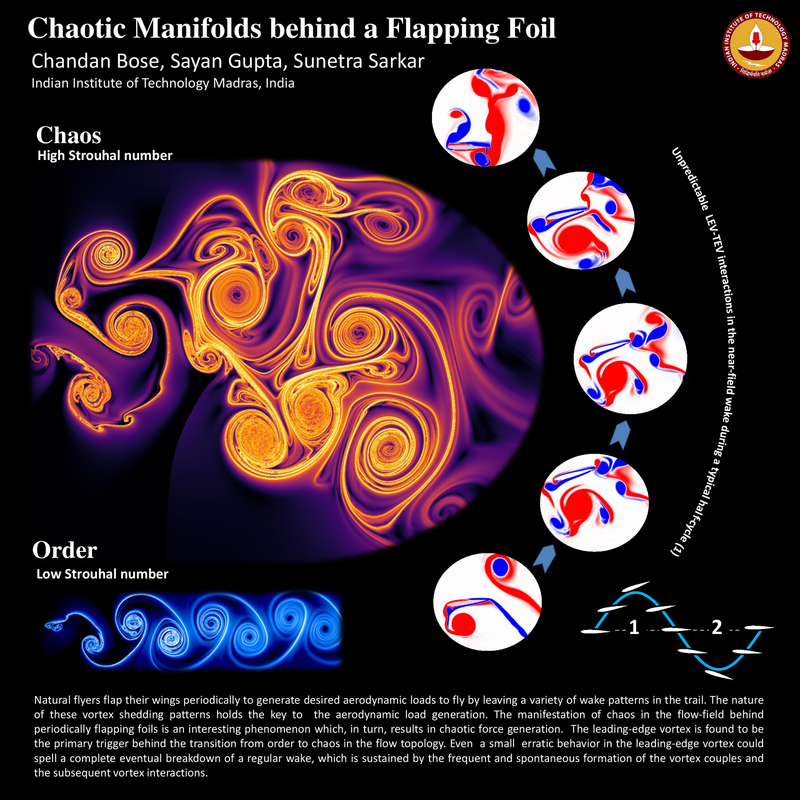 The manifestation of chaos in the flow-field behind periodically flapping foils is an interesting phenomenon which, in turn, results in chaotic force generation. 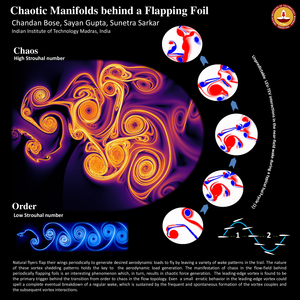 The leading-edge vortex is found to be the primary trigger behind the transition from order to chaos in the flow topology. Even a small erratic behavior in the leading-edge vortex could spell a complete eventual breakdown of a regular wake, which is sustained by the frequent and spontaneous formation of the vortex couples and the subsequent vortex interactions.